Calling all beauty lovers, you're going to adore this new Ted Baker Porcelain Rose Collection*! 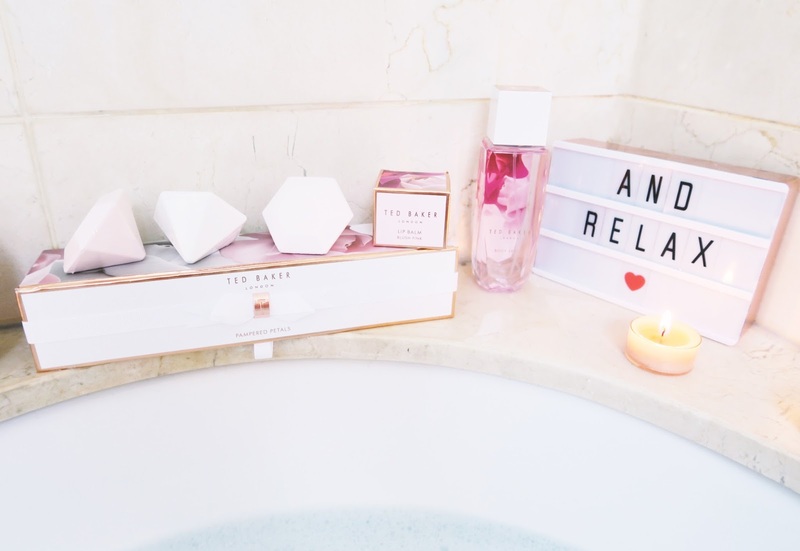 From the gorgeous packaging to the delicate scents, this range is perfect for a bit of "me" time and will add a touch of luxury and a dash of vintage glamour to your bathroom too! 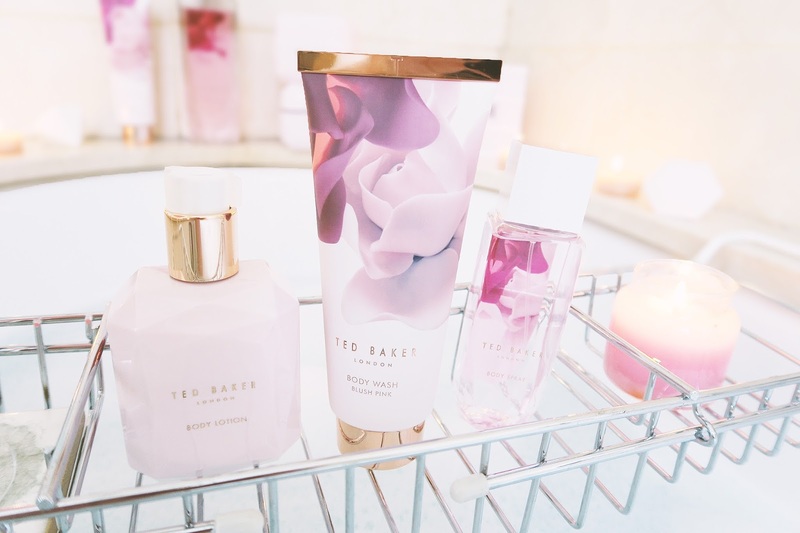 Ted Baker's Porcelain Rose is an ultra-feminine bath and body collection inspired by a curious trinket discovered at a New York auction. How romantic does that sound? This collection lets you transport back to the glamour of times passed and lets you bask in blush pink perfection. 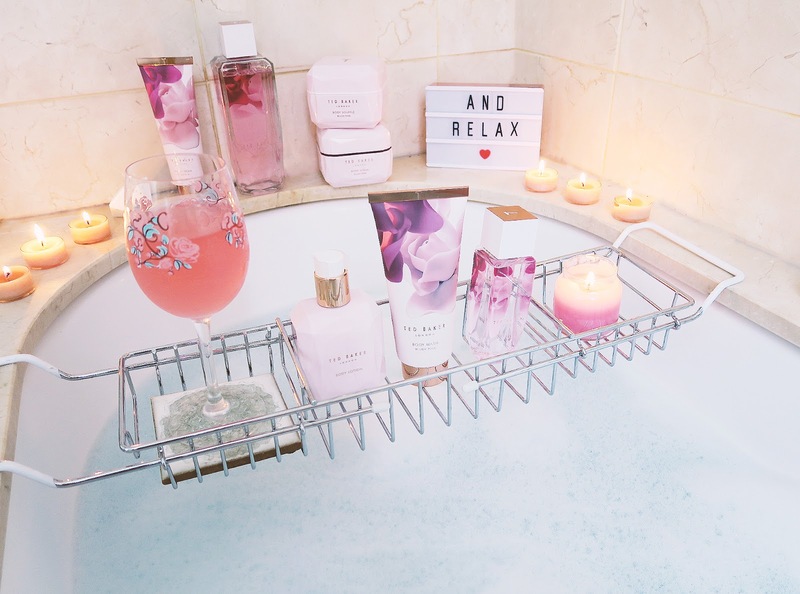 Everyone deserves to treat themselves to an indulgent evening of relaxation and with Ted Baker's Blush Pink collection there's plenty to choose from. With a soft-yet-impactful floral fragrance and everything from gifts to little treats Ted Baker has you covered. 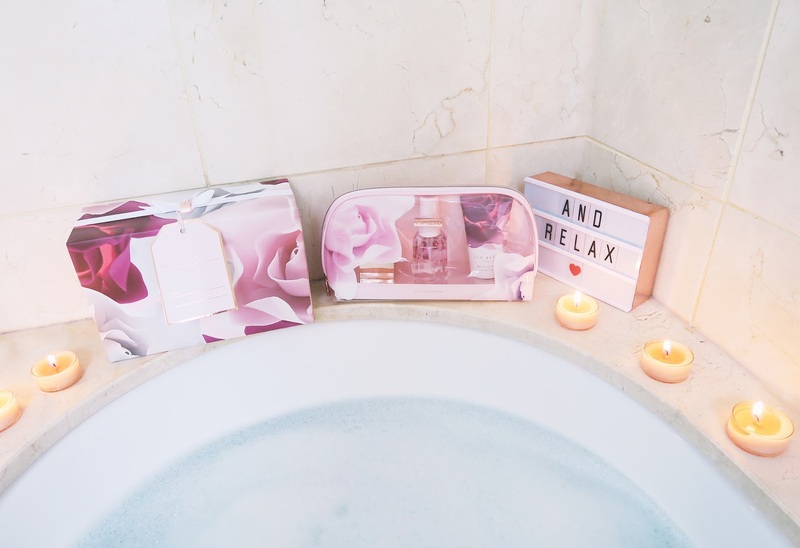 The cutest gift set filled with diamond shaped bath fizzers that smell incredible. To you from you, the most gorgeous gift box perfectly wrapped with floral fantasy blush colours and filled to the brim with a body wash, body scrub, body spray and body lotion. You'll definitely want to add this to your summer travel wish list - it comes with three mini products, perfect for any trip to somewhere sunny! These two are my favourites, they smell incredible and the bubblebath fills your bath with sparkling bubbles. 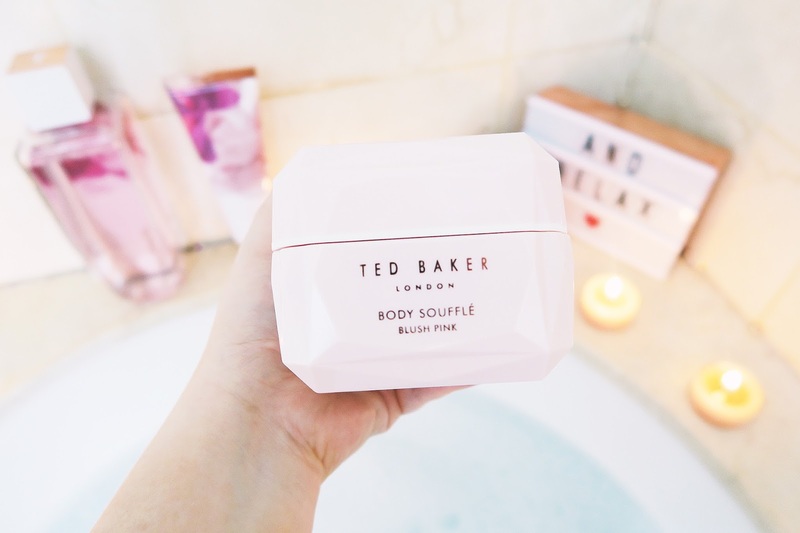 This gorgeous duo is perfect for a pamper night, use the scrub from "Ted" to toe first, to leave your skin feeling super smooth. Follow this which the gorgeous blush coloured souffle to lock in all that moisture. Perfect for any hand bag, this hand cream will save your skin everyday! Trust me! OK, before we go any further, who else is in love with Ted Baker's packaging!! The cute lip balm smells of gorgeous vanilla and keeps your lips kissable all day. The body lotion is another favourite, once you've put it on you have a wonderful sweet smell to you all day. This lovely spray is my new best friend at work. Every time I spray myself i'm transported to a time of vintage glamour and I love it! This whole range is available exclusively in Boots, have any of you guys tried this range yet?